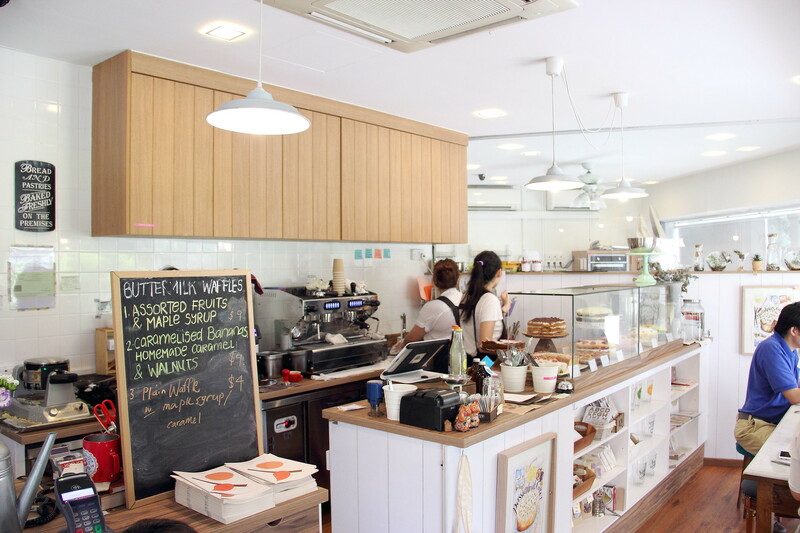 Lately we have seen many cafes opening in the suburbs of Singapore probably due to the lower rental and bring their offering nearer to the heartlands. Maple & Market is one such pioneer cafes that has started the humble business in the heartland before the so called local cafe culture boom. Maple & Market also conducts baking classes and I understand it even supplies their bakes to some cafes. 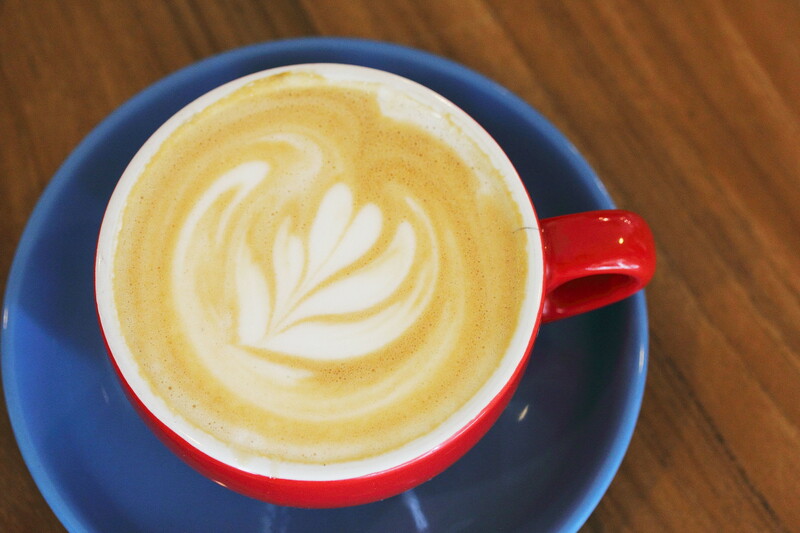 Latte ($4.50) is my usual caffeine order whenever I visit any cafe. I am not sure which blend or beans they used but I did enjoy the cup of coffee. I can't drink too acidic coffee so this was alright with the right smoothness and still came with a nice body that was not too strong. 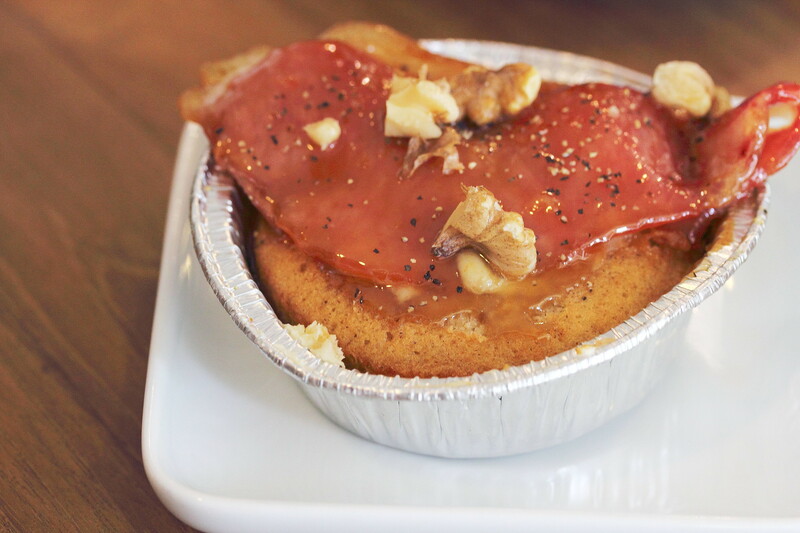 One of the signature cakes at Maple & Market is their Gula Melaka Cake ($5.50). I have yet to seen this being made elsewhere. 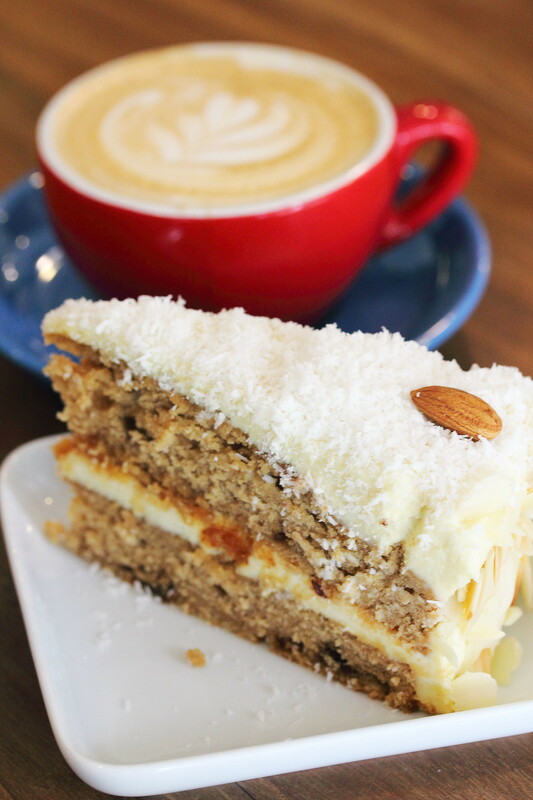 It is an interesting localised combination of kaya cream cheese frosting, almond brittle and grated coconut shaving. It was a good cake that comes with different layers and moist. However it seems to be lacking the characteristic taste of gula melaka. Many of you know that I am not a fan of sweet and savoury combination so I was not really excited with the Bacon Maple Cupcake ($3.50). Even though so, I did take a couple of bites and I thought it was quite good especially the candied bacon. It tasted like bak kwa. 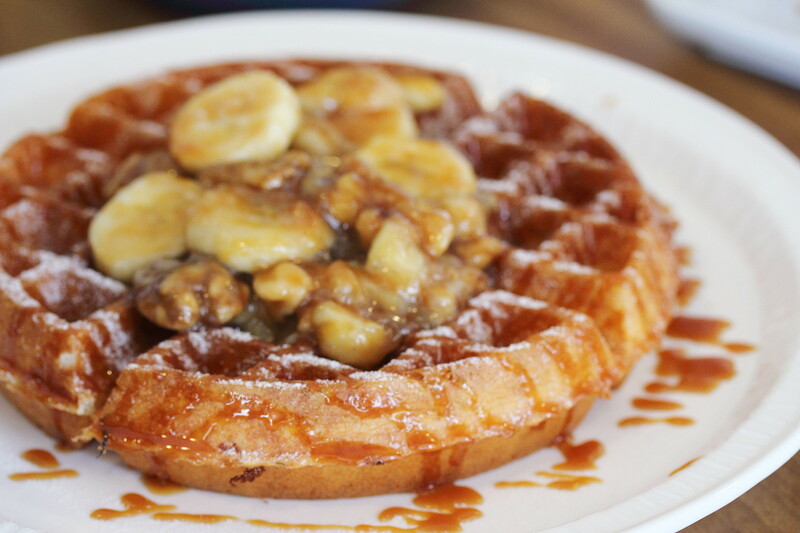 Last but not least, I tried the Caramelised Bananas, Homemade and Walnuts Waffle ($9). Pretty good waffle that was freshly made on the spot. It was crispy on the outside and fluffy inside. While the focus of Maple & Market is their bakes, the little bakery has been done up into a cosy little cafe with limited seats. The smell of coffee and butter filled the air as you step into the little white heaven. I would recommend trying one of the bakes that is beautifully displayed at the counter.